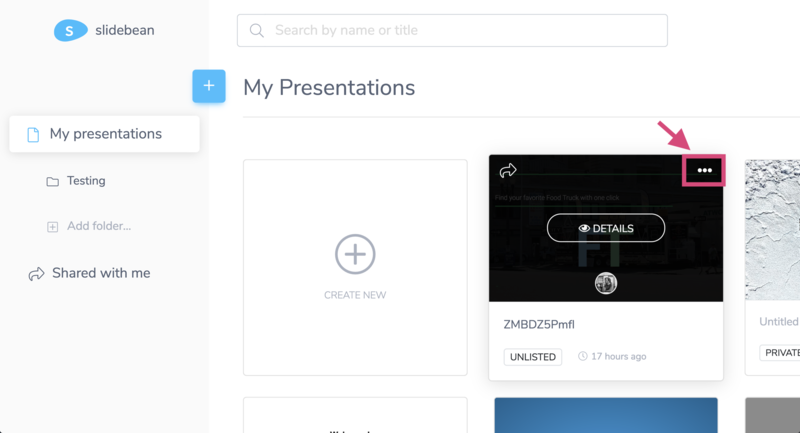 In order to embed your deck into your website, from your Dashboard just hover over the deck and click the Ellipsis (three dots) button on the top right corner. There, find the Embed option. 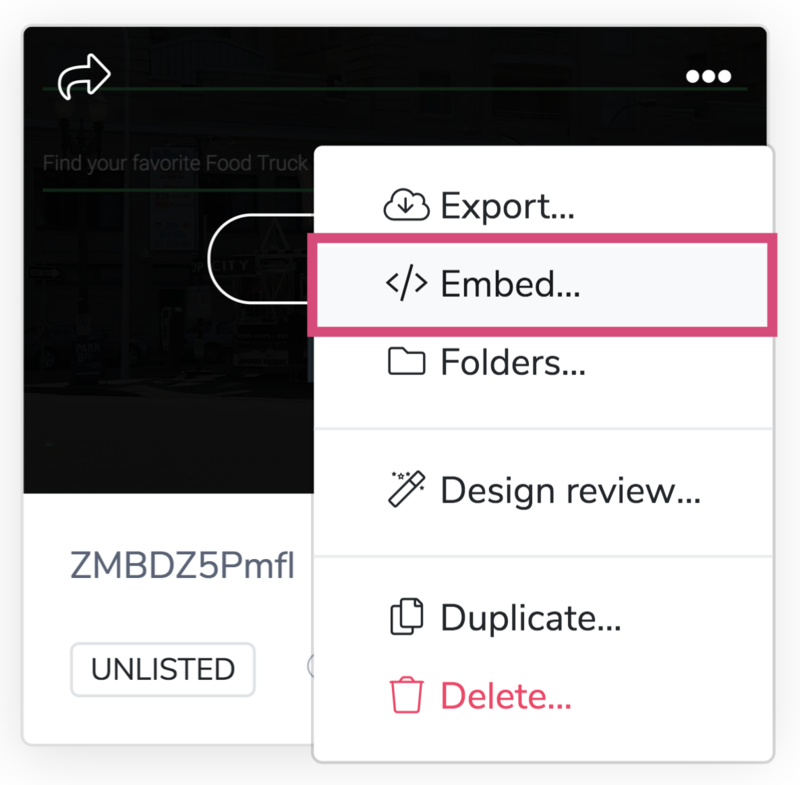 You'll find the embedding code here to just copy and paste it onto your website configuration or post. This code will adapt to the size and parameters of the the website you're embedding it on. To do this, first make sure you have the right privacy settings. It needs to be Public or Unlisted so it can be viewed publicly on your site.